By Jake Rocheleau in Web Design. Updated on November 26, 2017 . Designers release tons of freebies online every month, including iconsets, UI kits, mockups, vector graphics, and so much more. 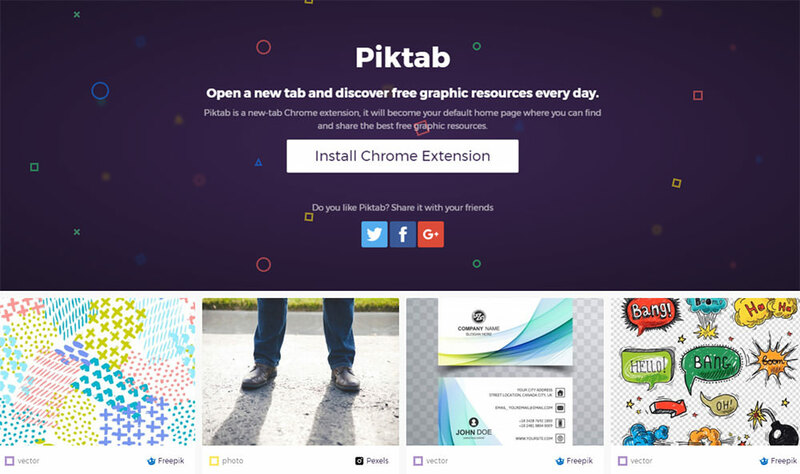 Piktab is a free Chrome extension that shows off the newest design freebies right in your browser. 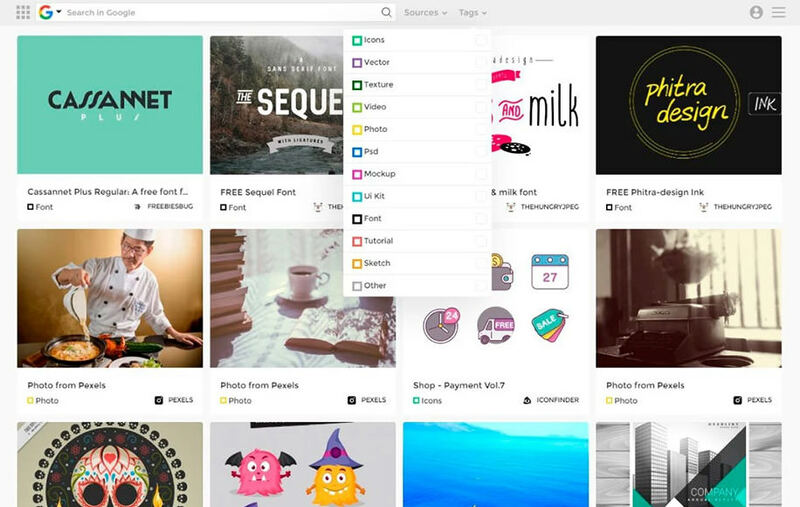 Every time you open a new tab you’ll catch a glimpse of the hottest design freebies from all over the web. This is perfect for aspiring web designers, mobile app designers, and graphic designers too. This extension pulls all the latest freebies from a set time period, organized by the most recently published. This includes some big freebie sites such as Iconfinder, Pixabay, and Vecteezy (among many others). You can also set this extension as your homepage to easily search through freebies or search the web all from one page. In the settings pane, you can add new sources of freebie websites or add/remove existing ones. This gives you even more power to organize the best freebies all from the Piktab interface. It’s a pretty long list and you can even add your own sources based on these categories. So, for example, you may be more interested in UI kits over free stock videos, so it makes sense to edit these out of the list. Everything is organized into a neat little grid with details on the location and the type of asset (photo, iconset, etc). For a live preview, check out the Piktab website where you can also install a copy of the extension.